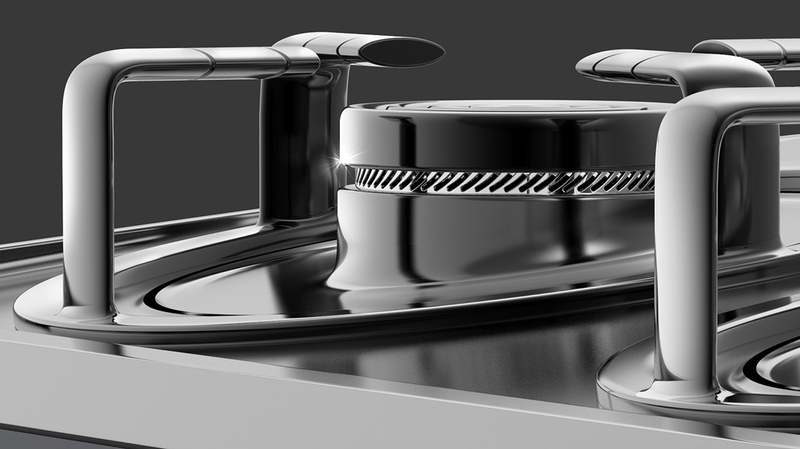 Gas stove with inclined plane for easy cleaning by collecting detergent. 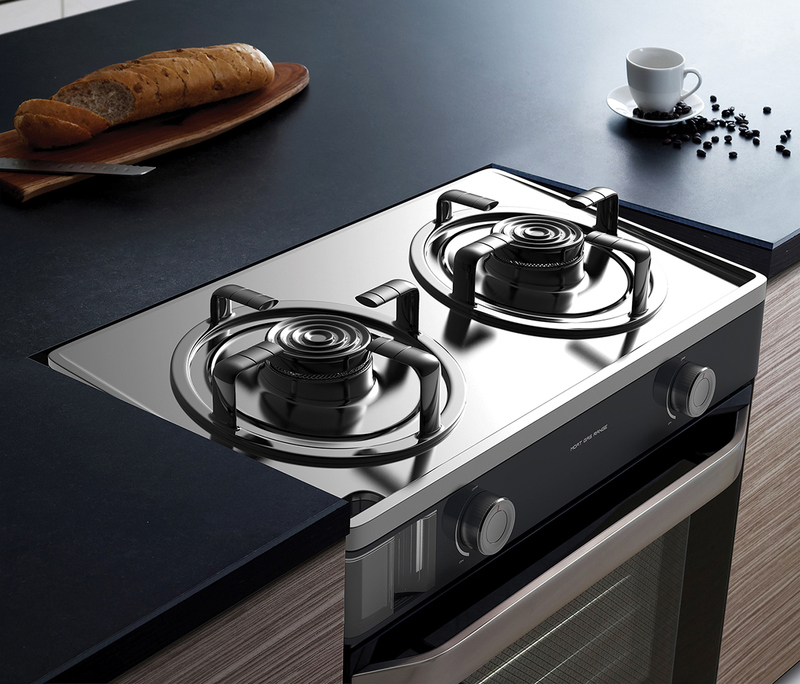 The symptom of food splashing everywhere while cooking is common due to the heat from gas or electric stove. 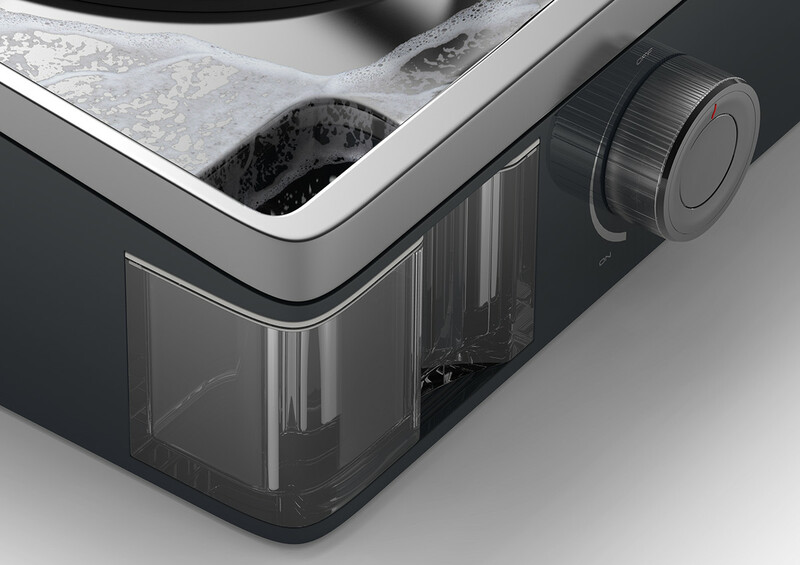 Thus, top part of the stove becomes dirty easily and it affects hygiene of the kitchen. 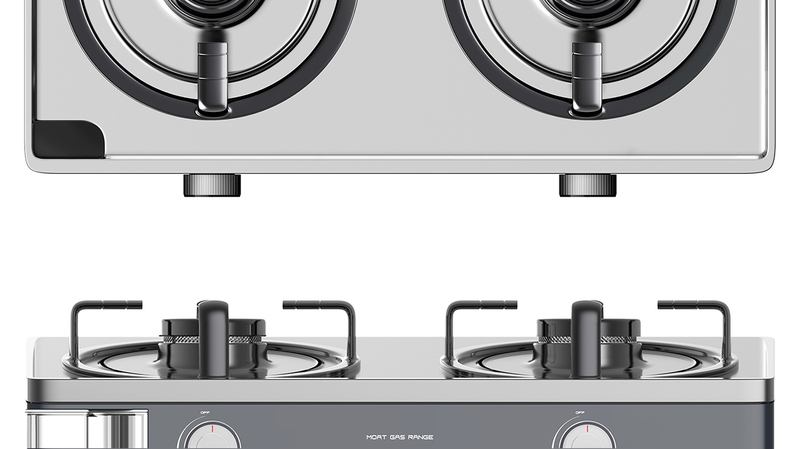 When cleaning the gas stove with lot of oil stains people usually use oil detergent or kitchen detergent. 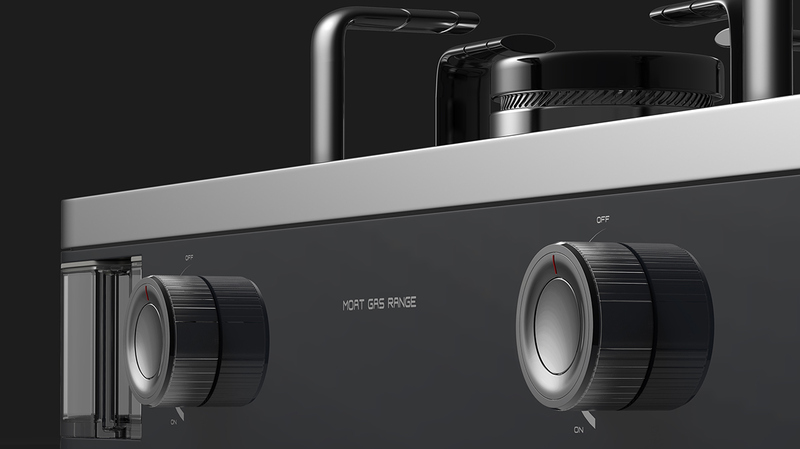 However, as it spills over the edge of stove many people experience difficult situations. Based on this problem ‘Moat gas range’ has inclined design on top making detergents to flow into one direction. With a container on the left bottom for collecting detergent it can detergent can be removed easily and is very convenient for cleaning with its simple shape. 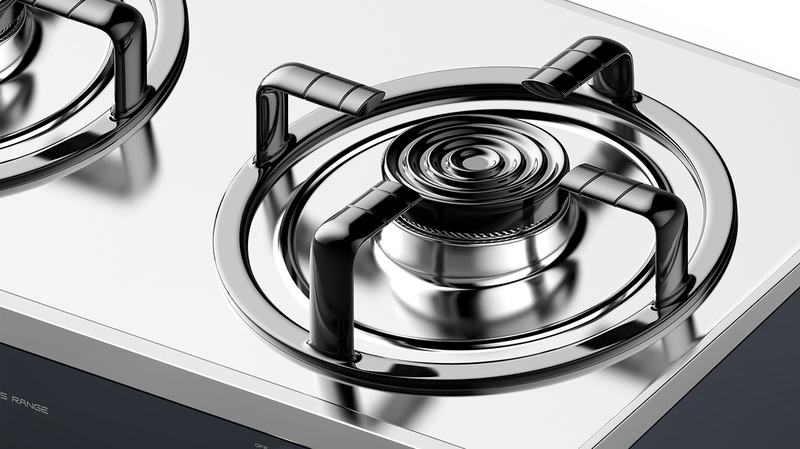 The previous gas stove has flat top and detergent easily flows into the edge and to the bottom. 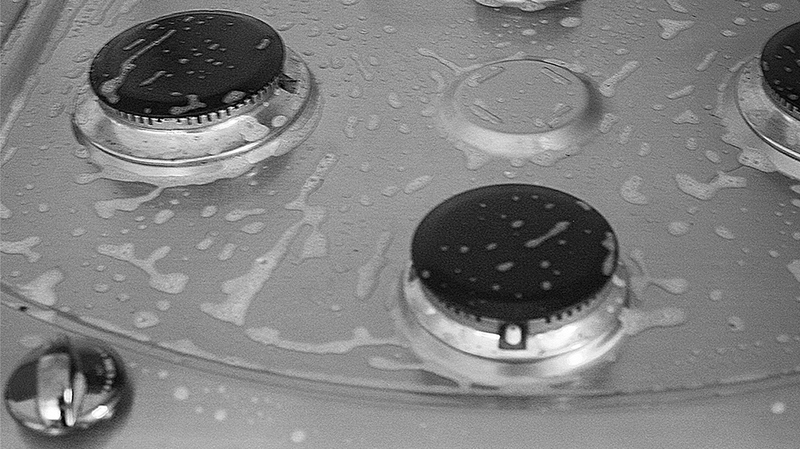 As one has to hold the stove up to remove spilled detergent many people just leave it as it is. This may cause bad smell. Difficult situation of detergent flowing into the edge when cleaning the stove. Spilled detergent can be cleaned by collecting it into the hole in the left bottom side. Along with inclination of 8 degree and walls on front and side parts the flow of detergent is prevented first. There is a container on the bottom of hole which collects rubbish and detergent. 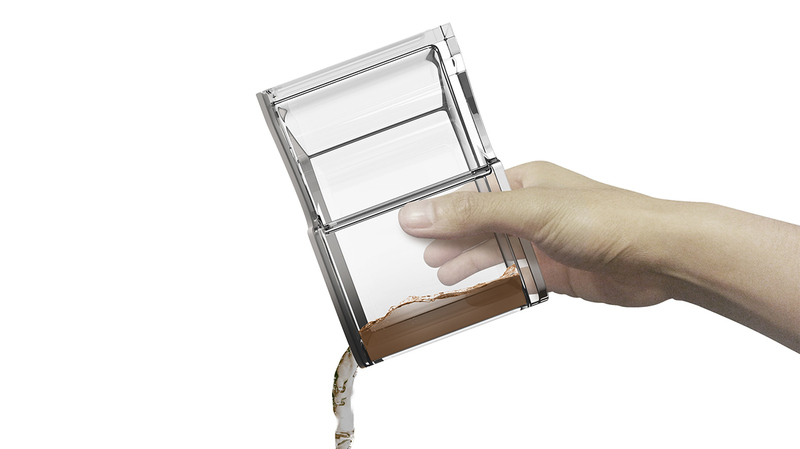 It enables easy cleansing of detergent without having to wipe and wash dishtowel again and again.